The Right Honourable the Prime Minister, Dr Motsoahae Thomas Thabane is the Prime Minister of Lesotho. He is a Member of Parliament for Abia Constituency No. 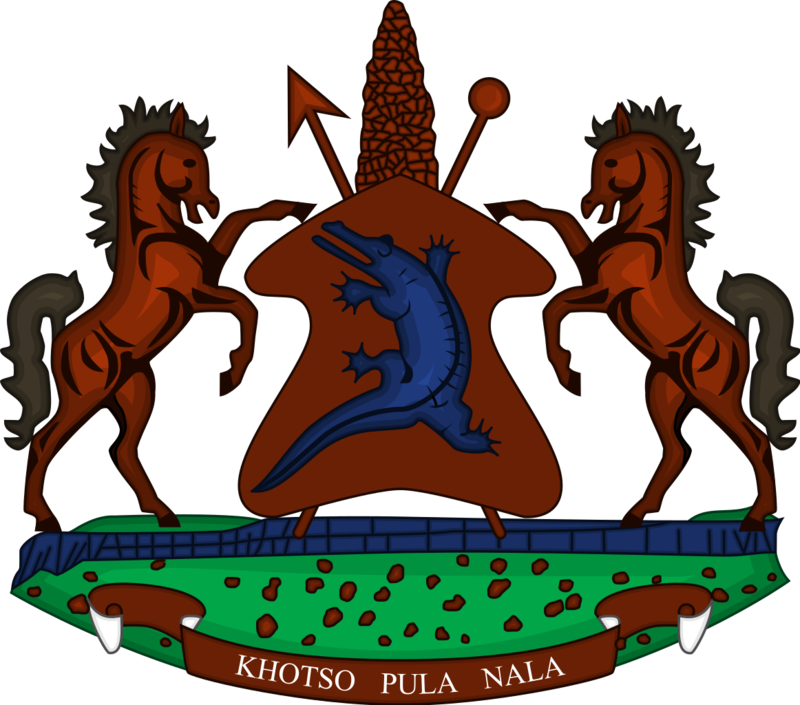 37 representing All Basotho Convention (ABC) political party, which forms part of the current Lesotho’s Coalition Government. He was sworn as Prime Minister on June 16, 2017 following the snap election of June 2017. The Right Honourable the Prime Minister is the founder and Leader of the All Basotho Convention (ABC) political party, which he founded in 2006. He has also served as the Prime Minister of the Kingdom of Lesotho from June 2012 to February 2015 leading the first Coalition Government in Lesotho. In 2012, he was conferred with an Honorary Doctorate in Leadership by the Limkokwing University of Creative Technology, Maseru Campus. Dr Thabane completed his elementary education at Masianokeng Primary School in the early 1950s. He continued with secondary and high school education at Maseru Day High School (commonly known as Control); the then Thabeng Training College and Basutoland High School, now renamed Lesotho High School. In 1964, he graduated with Bachelor of Arts Degree with major in Political Science and English at the then Pius XI College, which was later called University of Botswana, Lesotho and Swaziland (UBLS) and now the National University of Lesotho (NUL). Dr Thabane’s first appointment was at the Senate where he served as First Clerk Assistant and later Deputy Clerk from 1966 to 1970. In 1970, the then Basotho National Party (BNP) regime led by the late Prime Minister, Dr Leabua Jonathan declare a State of Emergency and Parliament and all its institutions were closed. Following the closure of Parliament and its institutions, all affected employees were deployed in various government ministries and Dr. Thabane was placed in the Ministry of Health and Education Assistant Secretary ((Administration) in the department of Health. The Prime Minister has worked as a civil servant in the Kingdom of Lesotho for twenty-six years. For nineteen years, he served as Permanent Secretary (PS) in various government ministries including that of Justice from 1972 to 1976; Interior (now renamed Home Affairs and Public Safety) from 1976 to 1978, Health from 1978 to 1983, Foreign Affairs from 1983 to 1985 and back to Interior from 1985 to 1986. In 1986, the BNP led government was toppled in a military coup, which was led by the then Major General Justin Metsing Lekhanya. As a result, government led by the military was formed and Dr Thabane was appointed as Secretary of Council of Ministers from 1986-1990 and also appointed the Minister of Foreign Affairs as well as of Information and Broadcasting Minister from 1990 to 1991. With the persuasion of the Southern African Development Community (SADC), African Union (AU) the then Organisation of African Union (OAU) and the entire international community, Military was under pressure to reinstate the civilian rule and Dr Thabane played a key role in this regard to convince the Military to accept the inevitable development to reinstate the civilian rule. It is during this time that Dr Thabane led the negotiating team that led to the return of political exiles that fled the country in 1970. As result, in 1993, the first democratic elections were held in the country which was worn by the BCP under the leadership of the late Dr Ntsu Mokhehle who requested Dr Thabane to join his administration as Political Advisor to the Prime Minister, the position he held until 1998. In 1998, Dr Thabane participated actively in politics, and contested the general elections representing BCP at Abia Constituency No. 36 (now Abia No. 37). He won the constituency and was appointed to a cabinet position in the Ministry of Foreign Affair until 2003. In 2003, he was appointed Minister of Home Affairs and Public safety, the position he served until 2005. After 2002 general elections, Dr Pakalitha Mosisili led administration of the Lesotho Congress for Democracy (LCD) regime which Dr Thabane served under as Minister of Communications, Science and Technology from 2005 to 2006. However, by this time, relations between Dr Thabane and the then Prime Minister, Dr Mosisili deteriorated to all time low. In 2006, Dr Thabane left the party (LCD) and formed a new party; All Basotho Convention (ABC), and effectively crossed the floor in Parliament to the opposition bench with other sixteen Members of Parliament (MPs). In 2007, the ABC political party under his leadership won seventeen constituencies and nine (9) Proportional Representation (PR) seats giving ABC twenty-six seats in Parliament as an opposition until 2012. After 2012 general elections, Dr Thabane formed the 1st Coalition Government with two political parties namely; LCD and BNP. Beside his successes in politics, the Right Honourable the Prime Minister was nominated the winner of the 2006 Best ICT Minister in Africa Award. He was the Chairperson of the Committee of Ministers in the East Africa Submarine Cable System (EASSY) project that was aimed at boosting regional communication initiatives. He pioneered the expansion of rural telecommunications network in the rural areas of Lesotho. He was the Chairperson of the Organisation of African Unity (OAU) Council of Ministers during the negotiations leading to the transformation of the OAU into the African Union (AU). He was also the Chairperson of the National Refugee Committee and the National Democratisation Committee. Dr Thabane was the World Health Organisation (WHO) part-time Consultant on Primary Health Care Implementation in Sub-Saharan Africa. The Right Honourable the Prime Minister likes reading politics, listening to Jazz and Rhythm & Blues music and has a passion for physical fitness. Dr Thabane was born on 28 May, 1939 at Makhoakhoeng, Ha-Abia in Maseru. He is married.